Feb. 3, 2014, 10:43 a.m.
“Experimenting live — just doing it — is the best way to learn,” a Post editor says. By Cory Haik @coryhaik Feb. 3, 2014, 10:43 a.m. Some of the best experiments I’ve worked on in digital news are the ones done in the moment, unplanned. That’s very much how we came up with the idea to live-Snapchat the Super Bowl’s ads last night. Like many news sites, we’d posted all the night’s ads ahead of the game (the ones that were not embargoed, at least), and those had done well for us traffic-wise. And we had a good plan in place to cover both the game and the ads with our liveblog and other tools. We are all set! Then we noticed that Facebook was asking for celebs to “live-Facebook” their game experiences and that the hashtags were already humming on Twitter. So the Snapchat idea popped up. Live is hard. One of the powerful elements of Snapchat is its in-the-moment-ness. When you start using apps like Latersnap and producing out snaps, it becomes a different product. That’s cool, and we’re doing that too, but again, live is different and much harder. You really get one chance to snap in the moment. If you’ve got a good producer on live Twitter, get them running your snaps. Or better yet, your (faster) field photographer. Snapchat’s Stories function is perfect for unfolding events, but those seconds add up. 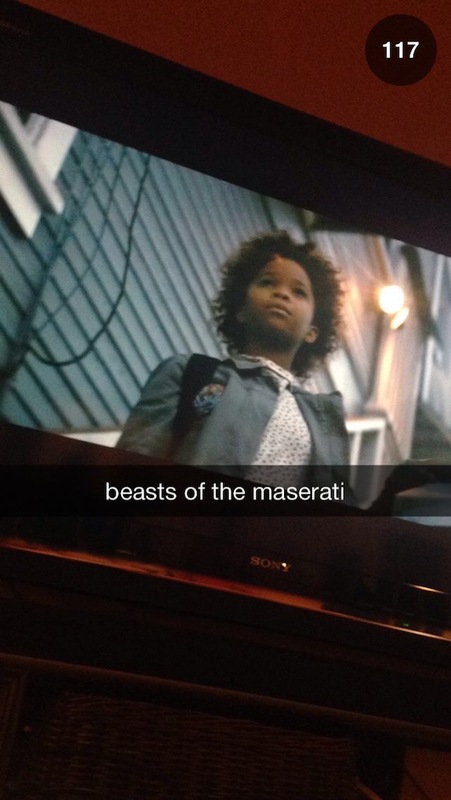 In the end, we had 133 seconds of snaps, representing nearly all of the Super Bowl commercials. That’s a great string in the order we saw it and snapped, but it’s also a long time for the user to sit through the end slideshow. We did a still image for almost each commercial and had it display for 2 seconds. Maybe that should have been just one? You can’t reorder, so think (fast) before sending. When you are filing to Stories live, all your snaps are ordered chronologically. The only thing you can do to edit that order is to delete a snap. There’s no way to go back in. Again, Snapchat is all about being truly in the moment. This may be closer to live TV than anything a digital journalist has seen yet. Even though the world can see it, it feels personal, especially when they snap you back! You are producing something from the palm of your hand that is exclusively going to someone else’s. If you have your settings configured for it, anyone can add your account and see what you’re doing. And then anyone can send you a snap — which three people did. (We didn’t really promote this experiment, so we were happy with the viewership we got.) That was fun for us: direct engagement in the moment from someone else experiencing the same thing we were. We think this engagement piece has a lot of unseen potential. Snapping live TV is a little weird. The images were not beautiful. The shots were sideways. It’s hard to get a clear picture that’s not blurry. There’s something about this aesthetic that makes it very…Snapchat?! Going forward, we think we’ll use this more for IRL events. Experimenting live — just doing it — is the best way to learn. You can see our snaps from last night by adding ‘coryinbeta’ from your Snapchat account. Cory Haik is executive producer and senior editor for digital news at The Washington Post. POSTED Feb. 3, 2014, 10:43 a.m.
Haik, Cory. 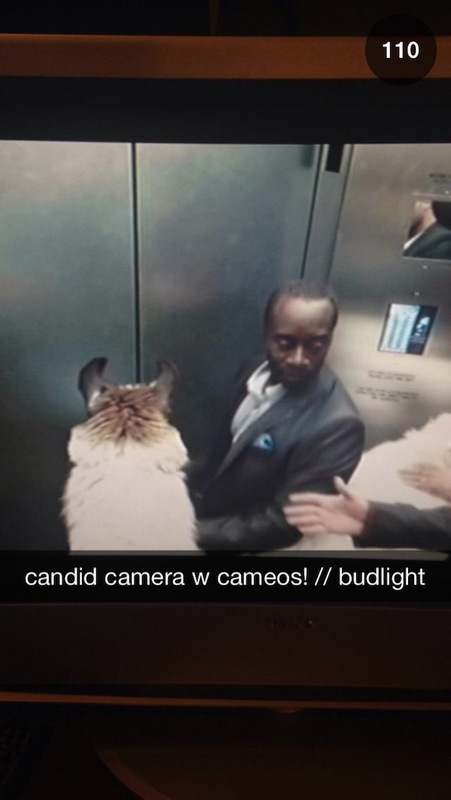 "Snaps from last night: How The Washington Post tried a Super Bowl experiment on Snapchat." Nieman Journalism Lab. Nieman Foundation for Journalism at Harvard, 3 Feb. 2014. Web. 23 Apr. 2019. Haik, Cory. 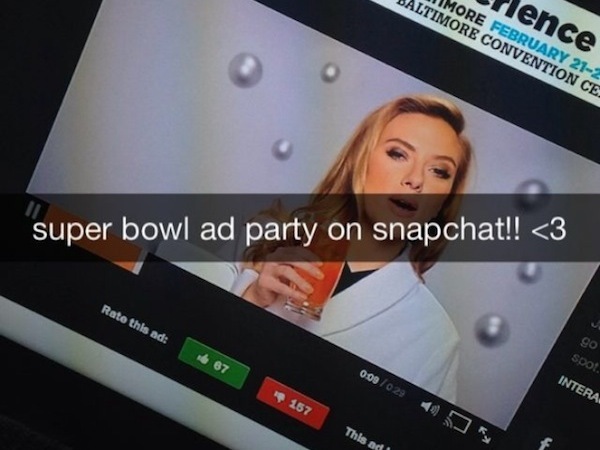 "Snaps from last night: How The Washington Post tried a Super Bowl experiment on Snapchat." Nieman Journalism Lab. Last modified February 3, 2014. Accessed April 23, 2019. https://www.niemanlab.org/2014/02/snaps-from-last-night-how-the-washington-post-tried-a-super-bowl-experiment-on-snapchat/.